Transport for Edinburgh and Serco have signed the concession agreement for Serco to introduce and operate the new cycle hire scheme for the City of Edinburgh – with the first bikes due to hit the City’s streets later this summer. 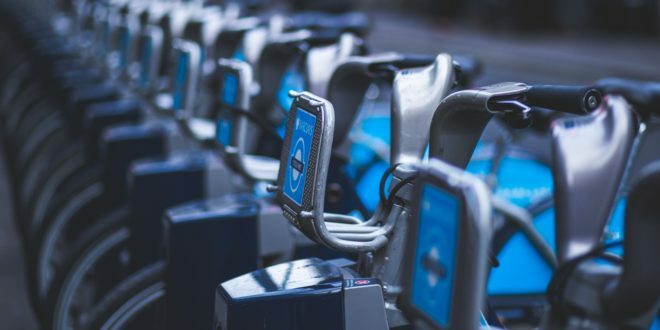 The scheme will match elements of Serco’s experience of operating the London Cycle Hire Scheme with the experience of Norwegian bike share developer and operator Urban Infrastructure Partner in running the cycle hire schemes in Oslo and Bergen. Using bikes from Serco’s partner on the London scheme Pashley Cycles, Serco will deliver a world-class bike share scheme tailored to the needs of Edinburgh residents, visitors and students. The cycles themselves are similar to the new Pashley bikes currently being brought into the cycle scheme in London, although with a redesigned gear set to better suit Edinburgh. They were tested on the streets of Edinburgh by representatives from The Council, TfE, The University of Edinburgh and Sustrans during the bid evaluation process. The initial rollout of the scheme will start in the City Centre, Waverley Station and University of Edinburgh sites. Individuals will be able to hire cycles through an annual membership, on a daily basis, or for shorter periods. The shorter period hire requires further market research to determine if a single ride or perhaps an hour-long hire is preferable. One of the new scheme’s key features will be a hybrid lock that allows for docking at physical docking stations as well as secure dockless parking within designated dockless ‘geofenced’ parking areas. This combination means that users can benefit from the flexibility of a dockless scheme that does not compromise the order of the City’s streets, while also giving users the option of recognisable physical docks. Angus Cockburn, Serco’s Group CFO, Edinburgh resident and chair of Serco in Scotland added: “We are extremely excited to have the opportunity, in partnership with Transport for Edinburgh, to bring to Edinburgh the truly-world class cycle hire scheme that a city of its global standing deserves. At Serco we see a huge potential opportunity to improve urban mobility across the City, helping to support economic growth, reduce traffic congestion, and improve health and wellbeing.